After leaving Krakow behind I got an overnight train across the border to Lviv. Although I had been briefed on what a nice place it was I was amazed at how it seemed empty compared to Krakow. In Poland I was surrounded by tourists but here I seemed to be pretty much the only one. There were a several coach loads of Poles who had braved it across the border but hardly another Johnny Foreigner in site. Despite staying in officially Ukraine’s best hostel I had the dorm to myself. 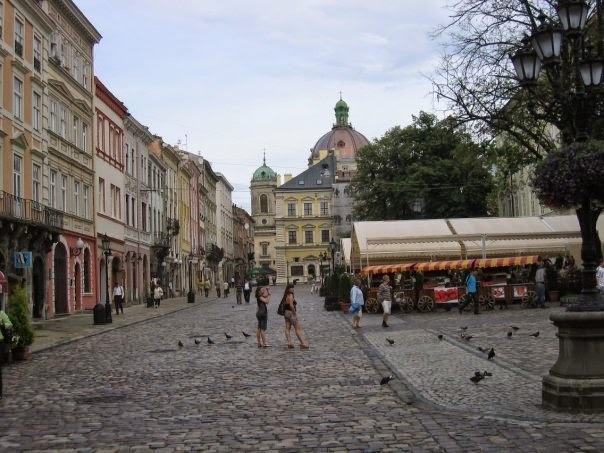 Lviv is an undiscovered gem as Ukraine sneaks off the edge of the main backpacking trail. 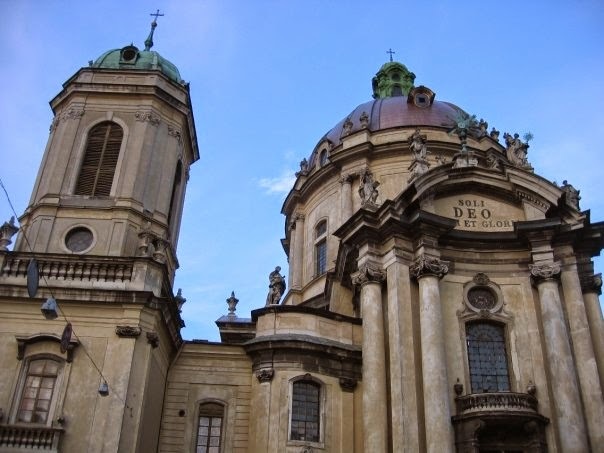 The Lonely Planet has a walking tour which lets you trundle through the many cobbled streets to see as grand a collection many fine churches and other buildings including gothic, baroque and renaissance styles of architecture. 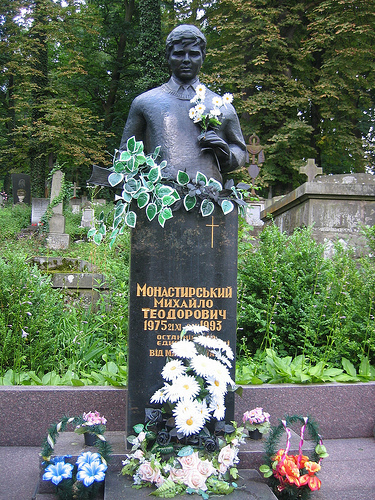 Another highlight is Lychakiv Cemetery about 2km from the main square. There are some really interesting old tombstones with socialist realism and Christianity side by side. A lot of the cemetery stretches deep into the forest and a couple of the stones (like the one of the young boy above) gave me a bit of a jump as I couldn’t see the bottom half through the threes. 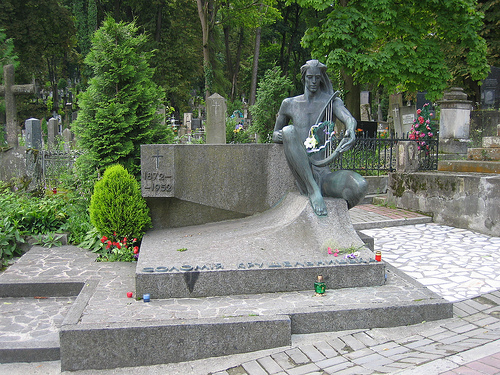 This cemetery is regarded as one of the loveliest in Eastern Europe and there is a number of Polish graves which attracts a lot of tourists from Poland here. The best view of this fine City can be found by walking up the hill to the High Castle. Getting there really tested my rather poor knowledge of the Cyrillic alphabet on the street signs.